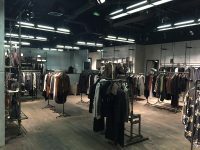 To deliver a unique and stylish fit out for the second All Saints store to launch in France using our extensive contractor contacts. 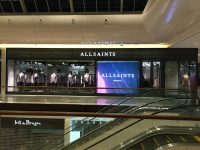 We were commissioned by All Saints to complete their new store in Marseille having successfully delivered many other stores across the UK and Europe including Paris, Zweibrucken, Maasmechelen and Roppenheim. 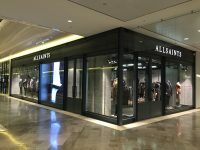 This fit-out comprised of a full steel RSJ glazed shopfront as well as many other dynamic features that gave a progressive and unique feel to this All Saints store. "I have had the pleasure of working with TA Knox on multiple projects throughout the years, TA Knox carries out all works professionally and with devotion to complete the specified projects within the scheduled time and to our client satisfaction. TA Knox always provide a professional service and are very proactive in identifying options and solutions to challenges that inevitably occur in a complex project. 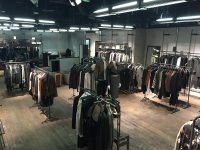 Manpower and material procurements are managed exceptionally well and any adjustments that are required by Allsaints, TA Knox smoothly manage to enhance the flow of the construction progress. The success of any project depends in large on the team assembled and the team's ability to communicate and work collaboratively towards the end goals. TA Knox's service is excellent and their contribution to our store builds is commendable. We wish them every success in their future business and look forward to building on our current relationship with them on our future projects. 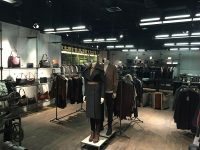 I would highly recommend TA Knox to any company who is looking for quality shopfitters"